Three weeks in and I’ve almost flipped in waves, been mauled by mosquitoes, and yelled at by otters. I’ve also had the fortune to meet some fantastic and unique people along the way, some of them carrying their own pen and paper. I feel flattered, amazed, thrilled, and grateful that people have found the trip interesting. Thank you so much! On the rough days, knowing people are rooting for me makes all the difference! Daniel Alvarez is taking the long way home. There are not many places you can see a kayak being pulled down the street and then parked at the public library, at least, not many places except Baudette. Emma Pavleck knew if she was going to allow a stranger to spend two nights in her parent’s home, she would have to get her father’s approval first. For this journey he’ll be using a Necky Looksha 17. 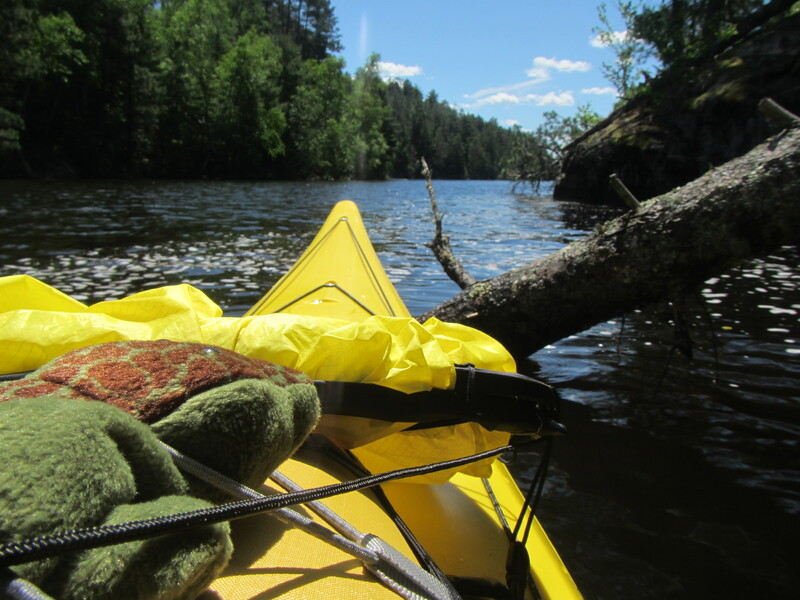 If there is a kayak capable of handling environments as diverse as the freezing inland sea of Lake Superior, the rushing muddy water of the Mississippi, the Gulf, and the uninhabited mangrove swamps of the Everglades, this is it. Posted in Angle to Key WestTagged AKW July, Angle to Key West, baudette, florida paddling trails association, international falls, Josh Meier, newspaper, press, stories, tallahasseeBookmark the permalink. Out of Order, I’m really looking forward to your paddle updates!!! Fantastic press coverage already! You’re such a rockstar Daniel….a often cold and wet rockstar… but still a rockstar!